This analysis excludes other leading destinations like Germany and Canada, due to unavailability of parallel data that indicates international student enrollment all institutions in the country. For example, McGill University enrolled 8,887 international students in 2013, but it is not included in the analysis. For feedback, questions, clarifications write to info@dreducation.com . For the UK and Australia, the numbers exclude offshore or transnational education enrollments. The data for Australia has been updated and reflected in the chart. 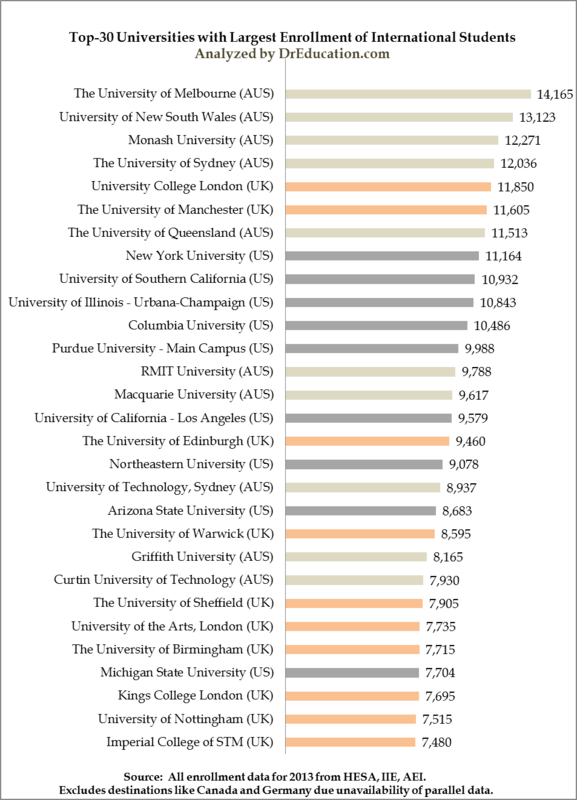 Previous data incorrectly included offshore data for some universities.